On Sale Now! 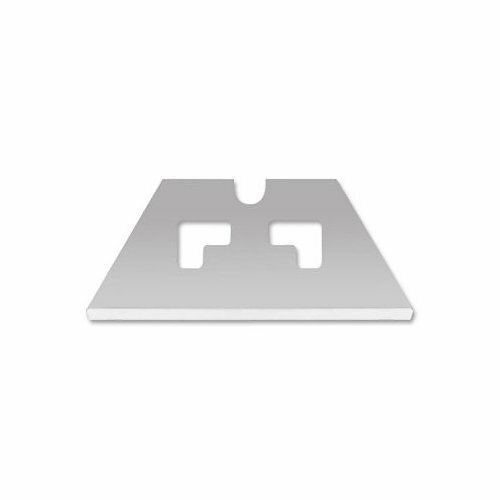 Save 9% on the S4, S5, S7, Replacement Blade, Safety Point Blade, .017, SP017 by Pacific Handy Cutters at Defy Now. MPN: Sp017 .x1 -PHC.fs. Hurry! Limited time offer. Offer valid only while supplies last. Blunt safety tip blade prevents puncture wounds / damaged merchandise. Fits EZ3, RZ3, S4 and S5 Safety Cutters. Single notch stiffer blade design. Blunt safety tip blade prevents puncture wounds / damaged merchandise. Fits EZ3, RZ3, S4 and S5 Safety Cutters. Single notch stiffer blade design. Efficient .017 thick Safety Point Blade is a safety device in itself, when installed into the S4, S5 safety cutter(s). These "purpose - built" blades significantly reduce cutter injuries, while enhancing the cutter's precise cutting geometry and safety features. Designed to easily slice corrugated and chip board material. If you have any questions about this product by Pacific Handy Cutters, contact us by completing and submitting the form below. If you are looking for a specif part number, please include it with your message.